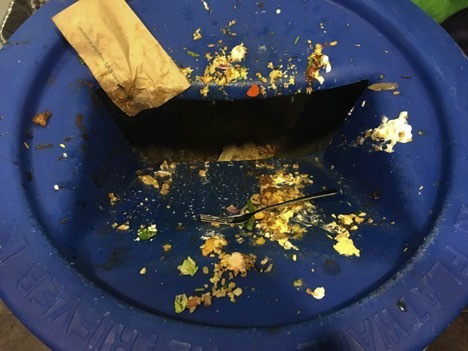 Dalhousie University Food Services started tracking the amount of food waste created in meal hall as a part of Canada’s Waste Reduction Week. Risley’s meal hall reminds students to only take the food they need to reduce food waste. 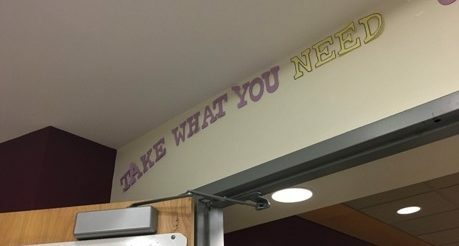 These words are above the entrance to the meal hall. Awareness of the amount of food taken versus the amount of food needed is important. Canada wastes $31 billion in food waste annually. 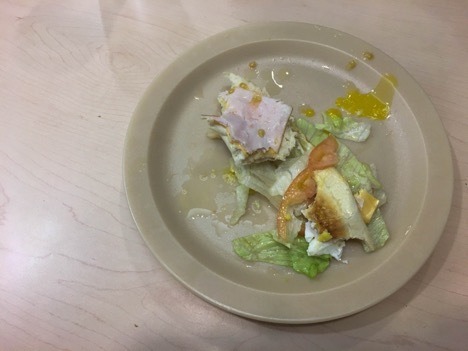 A student in Risley’s meal hall left large amounts of food behind on the table. Half eaten meals are a common sight. 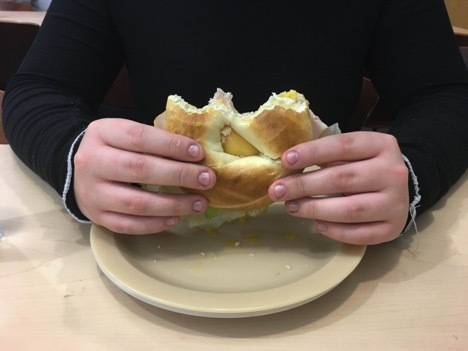 Bits of sandwiches are often added to the piles of waste. 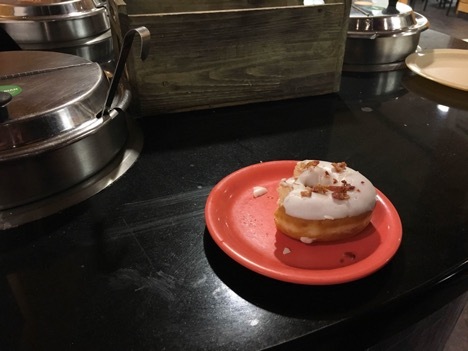 Dalhousie University hosted a donut bar in their meal halls on Jan. 24. Some were left behind with only a few bites taken out of them. 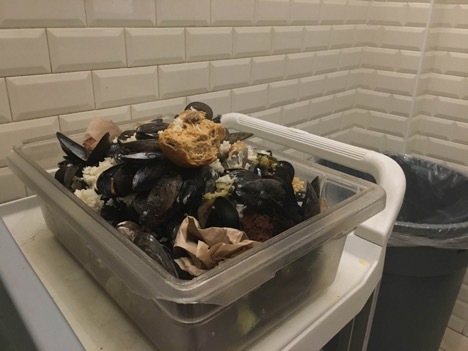 Food waste bins are overflowing with shells, food and napkins. Lots of food does not make it into the bin. Much of it is left on the cover. Canada’s Waste Reduction Week program stands to encourage people to lower their consumption and learn the impacts waste can have.